Experience the style and elegance of Paris' past by staying at a hotel that recreates the romantic and sensual nature of aristocratic France - without paying a king's ransom for your room. If you're looking for antique furnishings, exposed wooden beams, rich fabrics and linens, four poster beds, and the feeling that you've left the 21st century behind when you enter a hotel's lobby, consider one of the following hotels for your Paris vacation. 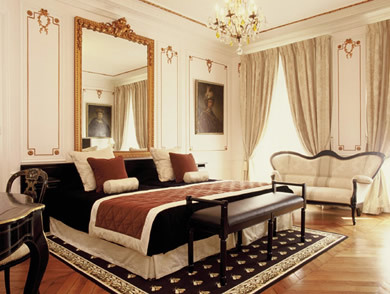 Bordering the green expanse of Les Invalides, containing the tomb of Napoleon, and a few blocks walk to the Eiffel Tower, the 3-star Hotel Latour Maubourg is housed in an 18th century townhouse. 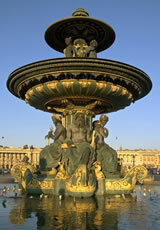 The 17 recently restored rooms feature high ceilings, crystal chandeliers, and French antiques. Rooms start at approx. 200€ per night. 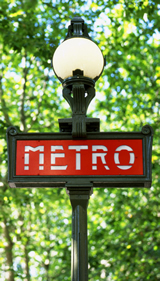 Hotel Latour Maubourg, 150 rue de Grenelle - 75007; Phone: +33-01-47-05-16-16; Metro: Latour Maubourg Station or RER Line C Invalides Station. Overlooking the historic Pantheon and located in the center of Paris' historic Latin Quarter, the Hotel du Pantheon is decorated in classic French county style featuring bright patterned wall coverings, coordinating headboards, and antique furniture. The marble bathrooms are modern - many with towel warmers. 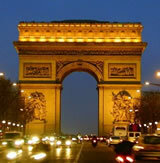 Splurge for a Superior Room with a close-up view of the Pantheon and a panoramic view over the rooftops of Paris. Close to the Luxembourg Gardens on a quiet street in trendy St. Germain des Pres, the 3-star Hotel de Fleurie is a family-owned, 29-room boutique hotel. 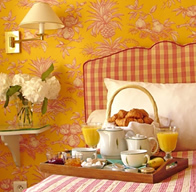 Rooms are a refreshing blend of airy, country French design and modern amenities. If you are traveling with children, book the Family Suite with a double room connected to a single room. 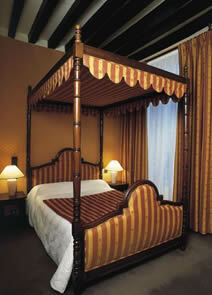 If you value a restful night's sleep, request a Deluxe Room with a King-sized bed. 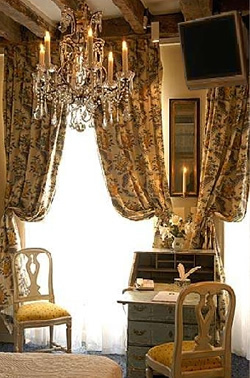 Located on chic Rue Bonaparte, steps away from designer shops, such as Dior and Louis Vuitton; and the famous literary cafes, Cafe Flores and Les Deux Magots, Hotel Saint Germain des Pres is a restored 18th century townhouse containing original wood beams, stone-walled bar, gilded antiques, and crystal chandeliers. 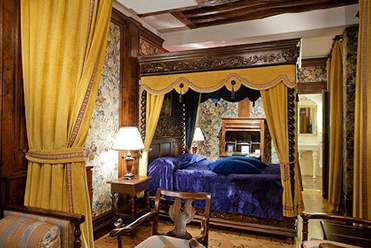 The 30 rooms are individually decorated in 18th century Parisian style, and some rooms contain four poster beds with curtains and lush velvet bed linens fit for royalty. Located on Ile St. Louis, a small island in the surrounded by the Seine River, Hotel du Lutece is a 16th century townhouse located on one of the most charming streets in Paris for window shopping and dining. Rooms are cozy due to the age of the building. Bathrooms are marble and modern. There isn't a location more central than Ile St. Louis. 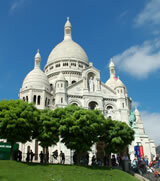 You can quickly walk to the Notre Dame Cathedral, Latin Quarter, and Marais. The bright blue exterior of the Hotel Caron de Beaumarchais invites you to peer into the hotel's lobby to see a room unchanged by time with a piano, antique desk, period furnishings, lit candles, and working fireplace. The illusion of "walking back in time" continues in the hotel's 19 rooms. Each room reflects life in the 18th century with period furnishings, original wood beam, crystal chandeliers, and framed documents from the time period decorating the walls. The hotel is located on rue de Ville Temple, a colorful street on the Marais famous for dining, designer boutiques, and nightlife. 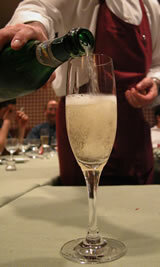 Rooms start at approx. 145€ per night. 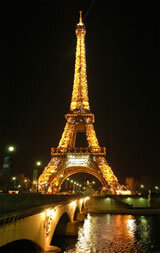 Hotel Caron de Beaumarchais, 12 rue Vielle du Temple - 75004; Phone: +33-01-42-72-34-12; Metro: St. Paul or Hotel de Ville. 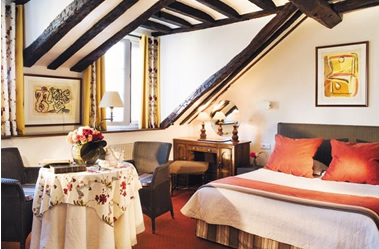 Located on a side-street in the bustling Marais, the Hotel de la Bretonnerie is housed in a charming 18th century townhouse with 22 rooms decorated in period colors with wood-beamed ceilings and four poster beds.